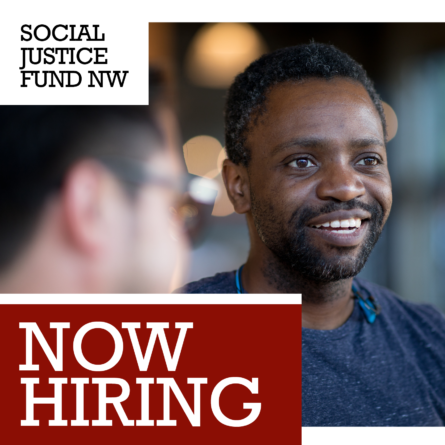 On behalf of the Board of Directors of Social Justice Fund NW, I am writing to let you know that Zeke Spier has decided to transition out of the role of Executive Director at the end of December. 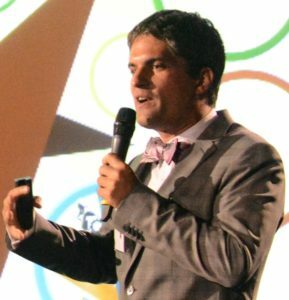 We are excited to announce that the Board has selected Associate Director Mijo Lee to step into the position on January 1, 2016. Zeke will continue to advance the Giving Project model nationally by working with other organizations interested in launching projects of their own. He is currently working with three foundations and will explore new opportunities for Giving Projects as well as other ways to support social justice philanthropy around the country. Like the organizations we fund, Social Justice Fund is committed to building leadership from within our own membership, base and community. 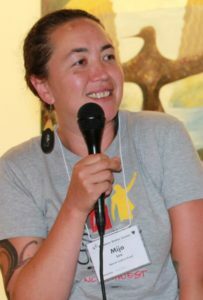 Mijo has 15 years of experience as a community leader and activist organizing in a variety of movements, including fair trade, police accountability, and immigrant rights. She has deep roots in community organizing and brings an extraordinary commitment to the members, grantees and values of Social Justice Fund. We were excited to have such an incredible internal candidate to consider for this position and look forward to supporting her as she moves into this new role. 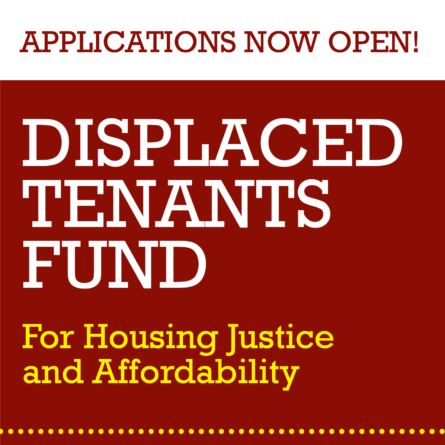 Zeke has been an integral part of Social Justice Fund for eight years, including five as Executive Director. Under his leadership, Social Justice Fund continued its history of revolutionizing philanthropy and funding transformative organizations. To this long-standing tradition, Zeke brought a bold new vision of connecting more supporters to communities organizing for basic rights, justice and equality. This vision manifested in the unequivocal success of Social Justice Fund’s Giving Project model over the past five years. Zeke hired Mijo; together they built the team that organized over 400 Giving Project participants. Their leadership combined with our Giving Project participants’ dedication resulted in Social Justice Fund granting more than $3 million to social justice organizations and growing our donor base from 300 to over 2,000 supporters. Mijo brings a wealth of proven experience, energy and focus to this position. Her leadership and close work with the Social Justice Fund community over the past five years have been key to the incredible success of the Giving Project model and we are eager to see where her leadership will take this organization. We’ll offer several opportunities to meet with both Zeke and Mijo over the coming months. The best chance to celebrate this transition will be at our Annual Dinner on October 17th. I hope to see you there! Thank you for your continued support as we embark on this exciting transition. 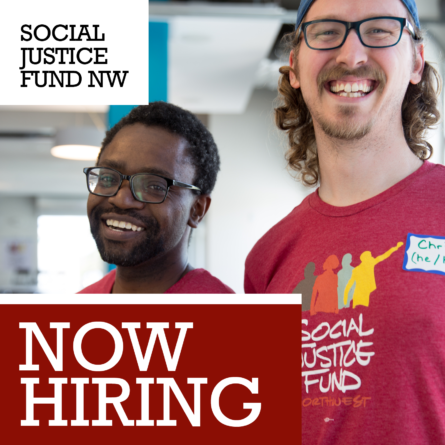 My eight years working at Social Justice Fund have been an incredible journey and I’m excited to take this next step. When I first got to know this organization, I was blown away by the deep history of the work, the clarity of political vision, and most of all the inspiring people giving so much of their time and money. As I stepped into the Executive Director role to implement our Giving Project model, I was daunted by the challenge and not sure of success. I had no reason to be worried—so many people from our staff, board, and membership stepped up and built what is now a thriving organization. It has been an honor to be a leader here and one of the most important experiences of my life. Over the last year as I have been preparing for this transition, I have shifted some energy towards supporting other organizations replicating our model. I see great potential for social justice philanthropy nationally, and am looking forward to playing a role in its continued development. Meanwhile, our staff has grown and taken on independent leadership of our work. Mijo has already been a key leader in everything we’ve done. I have learned so much working closely with her and I know that she’s the right person to move our work forward. 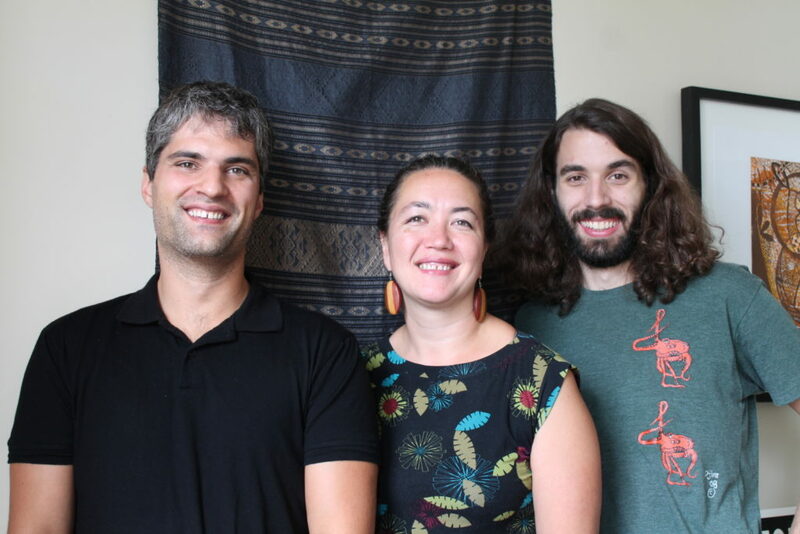 I look forward to staying connected, both through my role in replication and as a member, and can’t wait to see where Mijo and all of you take Social Justice Fund in the coming years. When I joined the staff of Social Justice Fund in December 2010, it was a thrilling moment for the organization, full of questions, possibilities, and risk. The pilot Giving Project had surpassed everyone’s expectations and the Board had just decided to leap into the unknown and adopt Giving Projects as our entire grantmaking model. Faced with that task, I knew that we’d succeed only if the SJF community – longtime supporters and newcomers, grantees and allies – came together to rise to the challenge. We’ve done that, and so much more. It’s been my privilege to work closely with hundreds of Giving Project volunteers, supported by thousands of donors, and to learn from the wisdom of dozens of grantees. Each year, I’ve been blown away by the courage of members who said “I’m terrified of fundraising – and that’s exactly why I need to do it,” who made the commitment to challenge themselves and their friends and family to give more, talk more, ask more, do more. I’ve been inspired by the tireless work and brilliant strategies of our grantees, making great sacrifices and taking great risks everyday to build a movement that can win the justice we all long for. I also owe an immense debt to those who came before: the founders and all the board, staff, members, and grantees throughout the years who have shaped our evolution, who toiled and dreamed and analyzed and argued and continually pushed themselves to build something better. I have deep appreciation for Zeke’s leadership, vision, and service to this organization, always pushing us to experiment and reach for more. I’ve learned a great deal working alongside him and look forward to building on what we’ve created during his tenure. Moving into the Executive Director role, I feel proud of our members and grantees, humbled by the trust placed in me by our Board and staff, and most of all, joyful. I love this organization, and it’s a joyful responsibility to take care of something you love. I’m thrilled and honored to accept this opportunity and can’t wait to get to work.